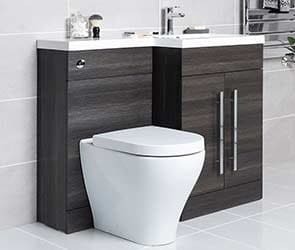 Toilets & Basins | Bathroom Takeaway 5% discount? 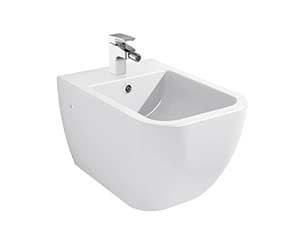 Toilets and basins are core parts of your bathroom that draw the attention of the eye. That’s why we're sure you'll love our stunning range, guaranteed to provide great style with the obvious functionality required. 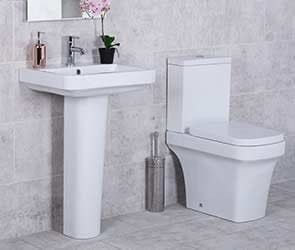 Our toilets and basins have been designed with the latest trends in mind and manufactured using the highest quality materials – we never forget that these products are designed to be used on a daily basis. Every item in our range is backed by a 10 year 'Fit and Forget' guarantee for greater peace of mind. At Bathroom Takeaway, we're committed to protecting and respecting your privacy Bathroom Takeaway Limited trading as Bathroomtakeaway.co.uk ("We") are committed to protecting and respecting your privacy and you can be assured that all the data provided to use will only be used in accordance with this privacy statement. This policy (together with our terms and conditions) sets out the basis on which any personal data we collect from you, or that you provide to us, will be processed by us. Please read the following carefully to understand our views and practices regarding your personal data and how we will treat it. 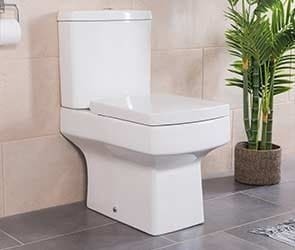 Established since 2010, Bathroom Takeaway® Limited is a UK company with a wide range of bathroom products in stock, quality checked and ready for delivery at our state-of-the-art National Distribution Centre based in Trafford Park, Manchester. Bathroom Takeaway® sets the standard in ‘Customer First’ service, offering comprehensive ‘Fit and Forget’ Quality Guarantees on all products as standard. We obtain information about you when you use our website, for example, when you contact us about products and services, to return an item or if you register to receive one of our newsletters. The personal information we collect might include your name, address, contact number, email address, IP address, and information regarding what pages are accessed and when. For the exhaustive list of cookies we collect see the List of cookies we collect section. If you make a purchase online or at our stores, your card information is not held by us, it is collected by our third-party payment processors, who specialise in the secure online capture and processing of credit/debit card transactions. Internal record keeping. Process orders that you have submitted. To improve our products and services. Dealing with entries into a competition. Notify you of deliveries, updates in your order or any changes to our services. Send you communications which you have requested and that may be of interest to you. These may include information about campaigns, new products and offers. Process job application. We may also use your information to contact you for market research purposes. We may contact you by email, phone, fax or mail. To customise the website according to your interests. We review our retention periods for personal information on a regular basis. We are legally required to hold some types of information to fulfil our statutory obligations (for example the guarantee period of the items purchased). We will hold your personal information on our systems for as long as is necessary for the relevant activity. Third Party Service Providers working on our behalf: We may pass your information to our third party service providers, agents subcontractors and other associated organisations for the purposes of completing tasks and providing services to you on our behalf (for example to process orders, send you mailings and collect reviews). However, when we use third party service providers, we disclose only the personal information that is necessary to deliver the service and we have a contract in place that requires them to keep your information secure and not to use it for their own direct marketing purposes. Please be reassured that we will not release your information to third parties beyond Bathroom Takeaway Limited organisation for them to use for their own direct marketing purposes, unless you have requested us to do so, or we are required to do so by law, for example, by a court order or for the purposes of prevention of fraud or other crime. You have a choice about whether or not you wish to receive information from us. If you do not want to receive direct marketing communications from us about our exciting products and services, then you can select your choices by ticking the relevant boxes situated on the form on which we collect your information. We will not contact you for marketing purposes by email, phone or text message unless you have given your prior consent. We will not contact you for marketing purposes by post if you have indicated that you do not wish to be contacted. You can change your marketing preferences at any time by contacting us on 03333058200 or by email: sales@bathroomtakeaway.co.uk. The accuracy of your information is important to us. If you change email address, or any of the other information we hold is inaccurate or out of date, you can change it by accessing your account online. 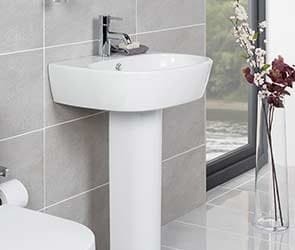 Alternatively, you can email us at:sales@bathroomtakeaway.co.uk, or you can telephone 03333058200. You may request details of personal information which we hold about you under the Data Protection Act 1998. A small fee will be payable. If you would like a copy of the information held on you please write to the Data Protection Officer, Bathroom Takeaway, Unit 1 Mercury Park Mercury Way Trafford Park Manchester M41 7LY. You can choose to accept or decline cookies. Most web browsers automatically accept cookies, but you can usually modify your browser setting to decline cookies if you prefer. Turning cookies off may result in a loss of functionality when using our website. We are concerned to protect the privacy of children aged 16 or under. If you are aged 16 or under‚ please get your parent/guardian's permission beforehand whenever you provide us with personal information.